While most modern TVs do usually come with enough built-in smarts to set up and Netflix, there are still plenty of reasons to consider investing in a standalone streaming box or designated media hub device that you can use to pick up the slack. 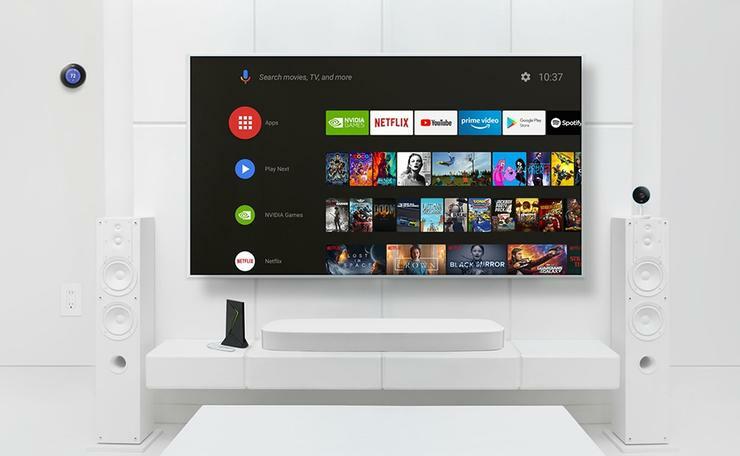 TV manufacturers are often slow to embrace software and security updates for their own platforms, and even slower when it comes to streaming apps that fall outside the current trinity of Netflix, Stan and Amazon. Here are our picks for the top alternatives to Apple TV in 2018. The Nvidia Shield TV is an Android TV powered streaming box that allows you to integrate together your various streaming services. Setup is about as straightforward as these things come. You plug it in via HDMI, connect it to the internet, download any necessary updates and apps and you’re ready to go. 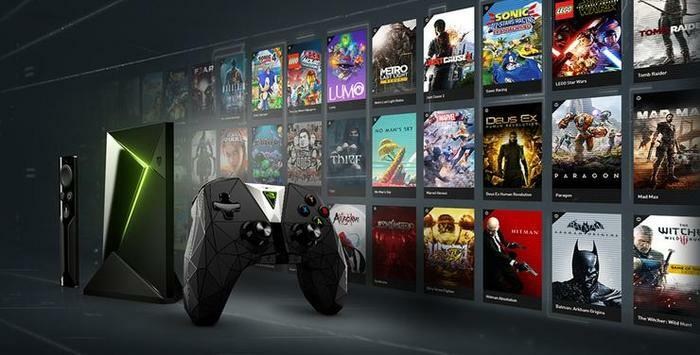 The Shield TV also supports Android game experiences, Google Assistant voice controls and the ability to stream gaming content from an Nvidia-powered PC over a wireless network. Out of the box, the Shield TV supports Youtube, Netflix, Google Movies, Spotify, Plex, Twitch, Amazon Prime Video and Stan. Unfortunately, the local offering is a little more limited. The Shield TV currently supports 7Plus and tenplay - but not iView, 9Now and SBS On Demand. This might change over time. But at the moment, it's a definite weakness. You can read our full review of the Nvidia Shield TV here. Pricing for the Nvidia Shield TV starts at AU$249. The Telstra TV is a streaming box designed to cable into your TV via HDMI and stream content from Netflix, Stan, Foxtel Now, 7Mate, 9Now, TenPlay, ABC iView, SBS OnDemand, Hayu and more. The new Telstra TV supports streaming in up to 4K quality and also boasts a built-in TV tuner, allowing it to index and interface with free-to-air TV (assuming you have an antenna on-hand). It comes with a remote touting dedicated Netflix and Foxtel buttons. It’s also got a single USB-port on the back, allowing you to access video, audio and image files using the Roku media player. You can read our full review of the Telstra TV (2017) here. While the redesigned UI does make for a cleaner experience compared to the original Telstra TV, the overall performance leaves something to be desired. The interface involved is well-thought out, but in its current incarnation the Telstra TV just doesn’t have the grunt to deliver on it. Almost as soon as you leave the home page and start digging into your connected streaming services, things feel noticeably more sluggish. 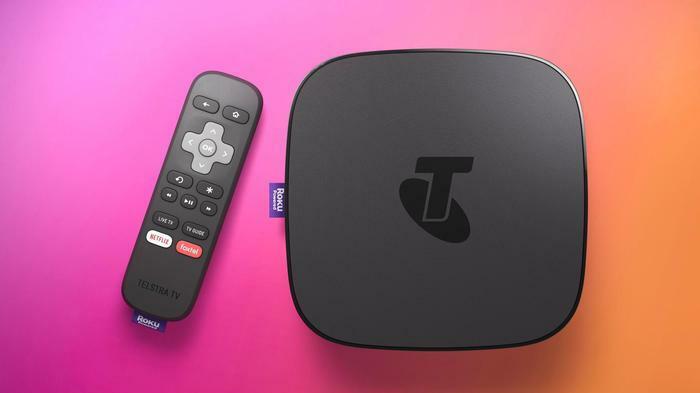 The new Telstra TV will be included in Telstra's AU$99 broadband bundle. It’s also available outright for $192. The Amazon Fire Stick is a Micro USB-powered dongle that plugs into your TV via HDMI port. Once set up, it allows you to access and watch content on Amazon’s Prime Video platform. You can read our full review of the Amazon Fire Stick here. 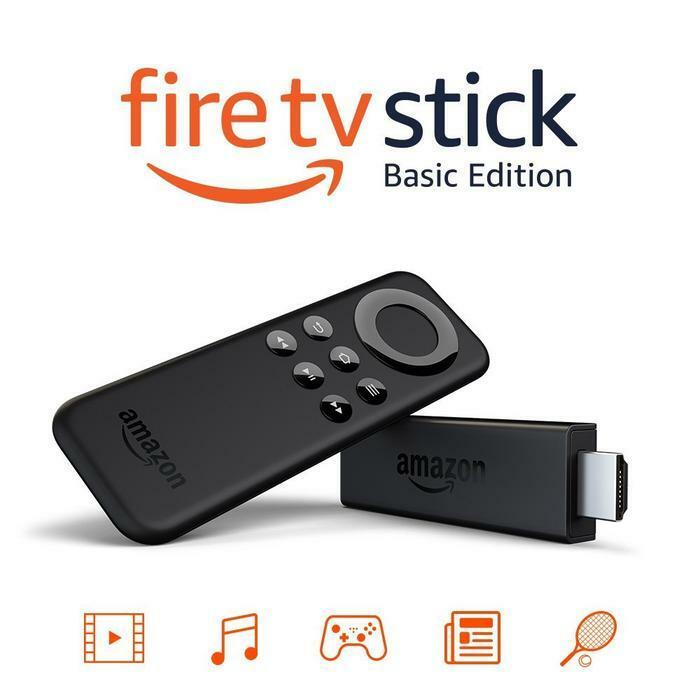 The Amazon Fire Stick only supports watching Prime Video. If that’s all you want to watch, that’s fine. However, most users tend to subscribe to multiple services, so having dedicated hardware for Amazon’s streaming maybe isn’t ideal (even if it is dirt cheap). The Amazon Fire Stick is priced at AU$69. 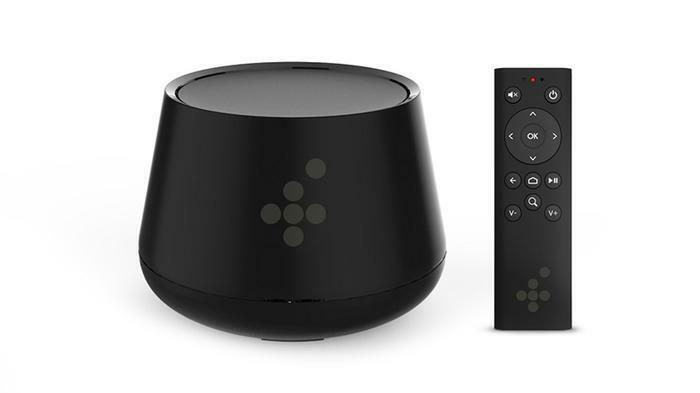 The Foxtel Now is an Android-powered media box that boasts 4K video encoding, 4K Chromecast support and a built-in free-to-air tuner. Foxtel also recently added AirPlay functionality to the box via software update. You can read our full review of the Foxtel Now streaming box here. The first caveat to the Foxtel Now is that you also need to be a Foxtel Now subscriber to actually use it. In addition, everyday navigation of the Android-TV based UI in the Foxtel Now feels just slow enough to irate. Much like the Telstra TV, it’s sluggish enough to be an outright pain should you make the wrong selection and have to quickly back out of menus. The Foxtel Now also lacks Netflix and Amazon Prime Video support. The Foxtel Now streaming box is priced at AU$99. The Fetch TV - available in Mini and Mighty variants - is a small streaming box with an HDMI port, Ethernet port, antennae connection and an optical audio out port. WiFi is built in too. You can use it for accessing Fetch TV channels over the internet or use the antennae to access Freeview channels too. The Fetch TV Mighty is more expensive but supports program recording where the Mini comes with a single free to air tuner (versus the Mighty’s 4) and loses 4K support and built-in hard drive found in the larger model. You can read our full review of the Fetch TV Mini here. You can read our full review of the Fetch TV Mighty here. The app selection for Fetch TV is somewhat limited. At present, it supports Stan, Netflix and Hayu but lacks support for Amazon Prime. 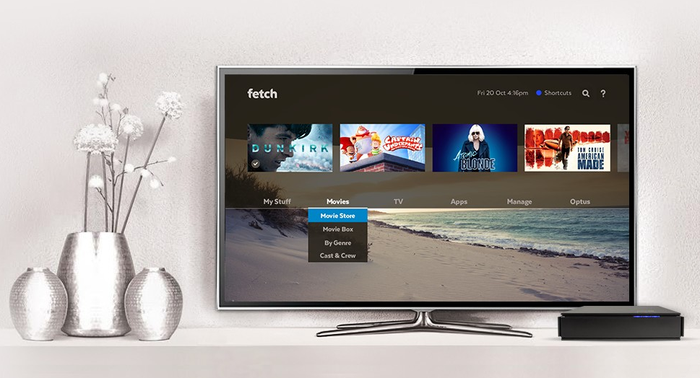 The Fetch TV Mini can be bought through various packages or outright for $169. The Fetch TV Mighty can be bought through various packages or outright for $399. The ChromeCast Ultra is a Micro USB-powered dongle that plugs into your TV via HDMI port. Once set up, it allows you to stream ChromeCast compatible content from your phone or tablet to your TV. 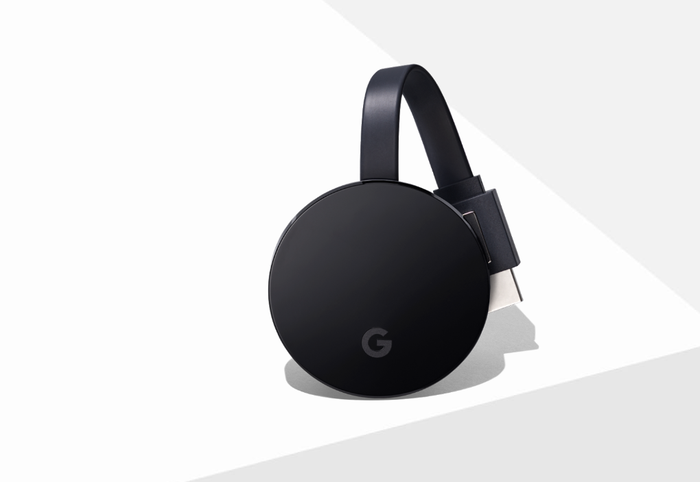 An improvement over the original ChromeCast, the ChromeCast Ultra supports streaming in up to 4K. Like the Fire Stick, the ChromeCast 4K is a little too specialised for its own good. Adding one to your existing home entertainment can sometimes be more hassle than it's worth in terms of wiring. In addition, many modern TVs come with integrated ChromeCast nowadays - which can make a redundant purchase for some. The ChromeCast Ultra is priced at AU$99. 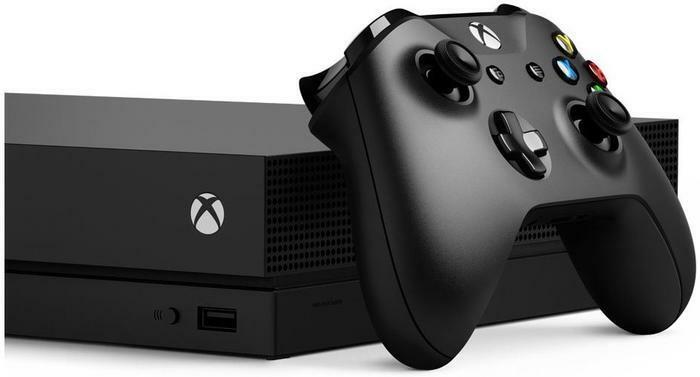 The Xbox One X is a home gaming console that boasts eight custom CPU cores clocked at 2.3GHz, 12GB GDDR5 memory, a 1TB HDD plus a 4K UHD Blu-ray disc drive. It’ll run any Xbox One game available and offer a better “Xbox One X Enhanced” experience on select titles. You can read our full review of the Xbox One X here. If you’re looking to use the Xbox One X as your media hub, be warned that the integration with every Google-based streaming platform out (that isn’t Youtube) is clunky at best. It’s also quite expensive, bulky and might not get updated quite as quickly as an Android TV based solution might. The recommended retail price for the Xbox One in Australia is $650.